Our Platinum brand is synonymous with unique and creative marketing services, premium customer service care, professionalism and the highest level of integrity above all. We have the experience and scale to help you sell your home. We take pride in helping our clients prepare their homes for sale with expert staging skills and helpful tips and advice so that your home will stand out amongst the competition. We are proud to market your home The 'Platinum' Way. Our sales team is skilled marketers and negotiators who work on your behalf to make sure your home gets the exposure it deserves. We work diligently to get you the best possible result in today’s market. Ask us today about a custom marketing campaign for your home. We are proud to have earned a strong local reputation of proven success and professionalism in our local market. We work hard to maintain and strengthen our relationships with the local agent community and will work diligently to introduce your home to the local market - giving us greater reach and more selling power. Together, The Platinum Group has collectively sold over 1000 homes to date. Let us help you attain your goal of home selling. 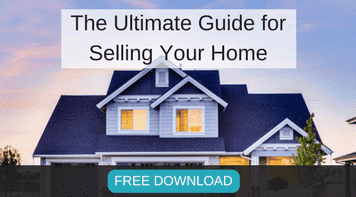 With so much on-the-ground experience, we understand what buyers are looking for and we use this knowledge to help you market and sell your home. We live and breathe real estate so we always know what is trending in our market. We use this knowledge to make sure you home is priced competitively. Home prices that are inflated can result in more days on the market. Buyers get excited about new listings, so realistic pricing is the key to get people to tour your home and make offers, particularly when you first list your home. Online listings play a pivotal role in the marketing of your property. We will ensure that your home receives the full attention that it deserves with professional photography and/or video/3D tours. Our group is built on the guiding principles of honesty, integrity and service, we still operate with those same values at the core of our business.